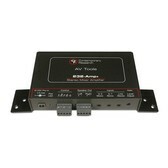 Contemporary Research SMG-40 Sound Masking Generator has the power to drive over 30 25V plenum and ceiling speakers, 70V transformer, 4/8 ohm speakers, and over 100 Cambridge Qt® Emitters. Many masking generators use standard pink noise while the SMG-40 filtered noise is optimized for masking speech in real-world applications. 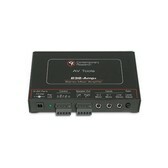 Housed in a compact metal enclosure, the amplifier can output 40W audio over two RJ-45 ports and a 3-pin Phoenix terminal for 25V, or 4/8 Ohm speakers and 70v transformer. 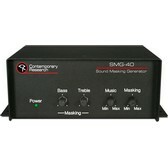 A stereo Music input and level control is available for BGM applications. A contact closure input can mute the amplifier when activated.